We’re happy to announce that high school social studies teacher, Kathy Krauth, is the 2013 recipient of the Elgin Heinz Outstanding Teacher Award from the United States-Japan Foundation in the humanities category. This award recognizes exceptional teachers who further mutual understanding between America and Japan. The award is presented annually to two pre-college teachers in two categories, humanities and Japanese language, and consists of a certificate of recognition, a $2,500 monetary award, and $5,000 in project funds. It is named in honor of Elgin Heinz for his commitment to educating students about Asia as well as for the inspiration he has provided to the field of pre-college education. 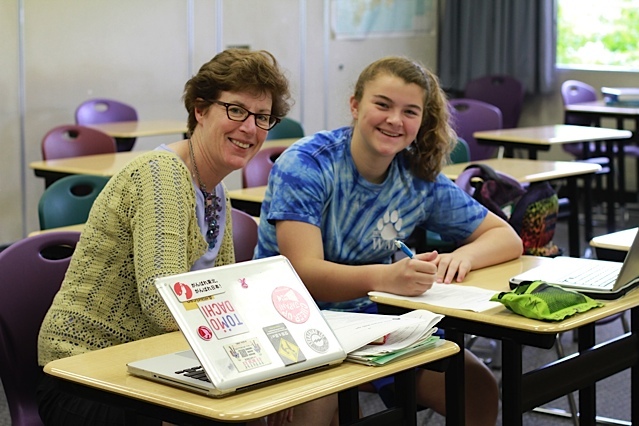 Kathy is the second ASIJ teacher to receive this special recognition. Japanese teacher Leslie Birkland was selected for the award in the Japanese language category in 2005.